Teams or groups will consist of people from different background, personalities, values and beliefs. There will also be some members who contribute more than others or who will be more active than others. So to ensure youhave an effective team the leader need to find the way for each individual to contribute and feel part of the team or group. To persuade other in the team, the leader must understand each team member’s background and values. Recognising that each individual is different shows you have respect and consideration for them. The general aim of the leader is to get to know his/her team or group members, in other words, a leader needs to think as a team member does, so interact and get to know them. Recognise what your team members contribute and the difference it makes to the team dynamics, this is one of the most key elements to motivating others. People need and want acceptance, approval and appreciation, people like to know how their contribution makes a difference. When appreciation is shown for work that is well done this can also reinforce the sense of worth and place within the team. A team member could be holding back with their contribution due to lack of confidence in their abilities. A leader needs to identify ways to improve the behaviour from team members. Although being self-confident can generally be about the individual’s personal belief, which a leader may not be able to influence. The leader should be able to identify and build on the strengths of team members. It is also key to remain unbiased and neutral to all team members showing or giving more opportunities to one over the other can have a negative impact on the overall team dynamics. 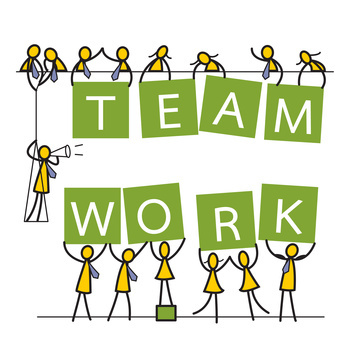 For a team to be effective they must be able to work together, share ideas, support each other, build an open and honest atmosphere by agreeing ground rules. Try not to judge each other, this creates negative team conflicts and can distract the team from the task in hand. Instead encourage each other to work with their key strength. “The art of becoming a great leader is in developing your ability to leave your own ego at the door; and to recognize the skills and traits you don’t possess and that you need to build a world class organization”. ← Getting to the Finishing Line!! I really like your motivation plans,and the assurance, of how you can guide and inspire others for a brighter future. Thank you, Each individual deserve a brighter future, this is why I like to share with them some tips and tools to help them along the way.